One of the popular professional football player is Ricardo Andrade Quaresma Bernardo who is popularly known as Ricardo Quaresma who plays for Turkish club Besiktas and the Portugal National Team. He is well known Portuguese celebrity. He is famous for contribution in professional life. His is best at winger/forward position. Currently, he is playing in Besiktas club. He had played for Porto, Intermilan and many more clubs. He is right foot player. His Shirt number is 7. Christiano Ronaldo is one of his best teammate. He had represented himself in Russia for the World Cup 2018 as a part of the Portugal team by showing his talent to all. Passionate and enthusiastic player, Ricardo Quaresma was born on 26th September, 1983. His full name is Ricardo Andrade Quaresma Bernardo. He was born and raised in Libson, city of Portugal. His father name is Fernanda Maria Pereira Martinho Andrade. His nationality is Portuguese. His astrological sign is Libra. Talking about his body, his height is 1.75 m. His weight is of 74 Kg. He has balanced body with good health. During the 2000-2001 seasons, Quaresma made his very first debut. In total, he played 59 games with Sporting Cp and with the score of 8 goals. Quaresma was also acquired by Barcelona in 2003 but later on his performance was not found so good while playing for Barcelona. He scored only a single goal for Barcelona. Then, he played for Porto and Inter Milan club with all his talent. He went on loan with Chelsea in the course of playing with Milan. He cannot score a single goal kick playing in Chelsea. 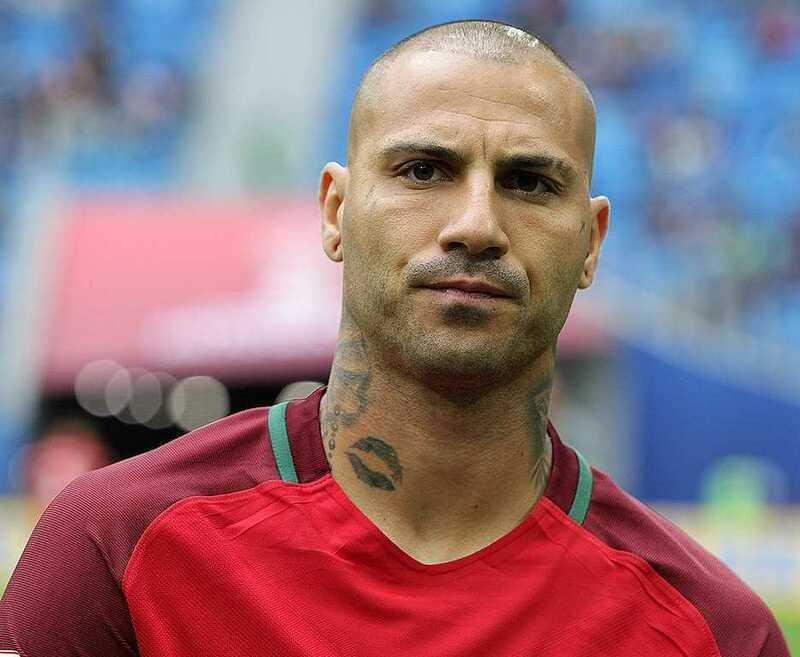 Quaresma represented himself in his national country, Portugal in both senior as well as junior levels in many tournaments. In June 2003, he made his very first international debut facing Bolivia in a friendly match. He also made his first international goal against Belgium. He also represented his nation at three European Championships. This team also reached the semi-finals at Euro 2012 due to his improved performance. His name was also enlisted in the squad of Portugal national team in this World cup 2018 Russia. He had already played in the World cup 2018. He was one of the very active player in this World cup. He had played altogether 3 matches. Altogether he had made 1 goal in this World cup. Pepe, Ronaldo and Andre Silva are his teammates. Now he is one of the very important and skillful players for Besiktas. Concerning his personal affairs, Quaresma is a married man. He married to Daphne Quaresma, his girlfriend. They were blessed with handsome son. Previously, he was in an affair with Katie Costa. He also has a daughter from his past girlfriend. Quaresma took the custody of the child. Currently, Ricardo and Daphne are very happy in their relationship and there is not any sign of separation. As of 2018, his net worth is estimated to have $40 million, including all of his properties and earnings. His annual salary is $4.5 million from his present club. His market value is estimated to be $3 million.